Today I’m launching into the second part of my four-peak project. 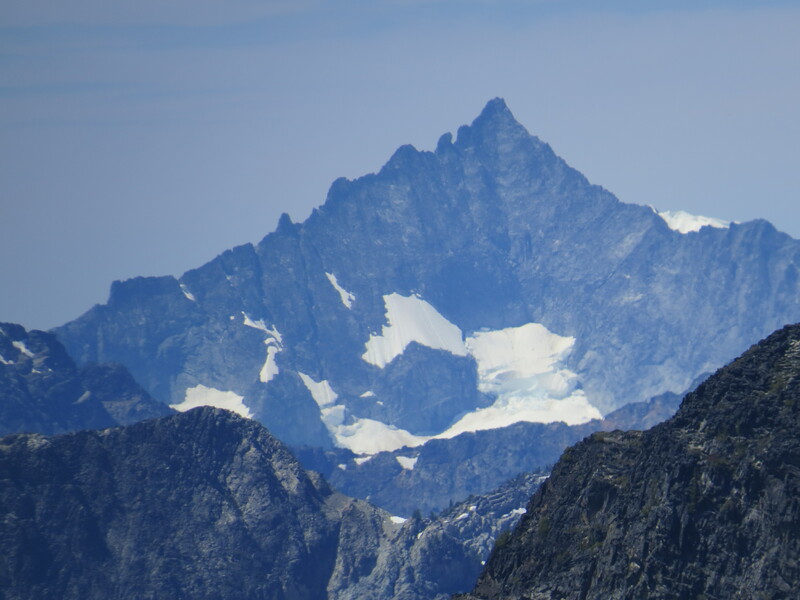 Forbidden Peak is one of the crown jewels of North Cascades National Park. An 8,000+ foot wall of ice and stone piercing the sky above the Boston Glacier. It’s everything that a great alpine ascent should be: a glacial approach, a moderate grade but wildly exposed rock climb, and one of the most dramatic summits in the entire state. If there was one mountain that I was excited to climb this year, this is it. Forbidden Peak differs from Rainier and Hood because it’s alpine rock over hiking up steep glaciers. It’s the kind of climb that I’d always imagined: wearing rock shoes instead of mountaineering boots, clawing my way across a thin knife ridge to a breathtaking summit, and doing so with the skills and lessons that I’d learned from years in the rock gym. So why am I so stoked about this? Last summer around this time, we went to the North Cascades to learn basic alpine skills and climb Liberty Bell spire, one of the 50 Classic Routes in North American climbing. The climb was a tremendous success. 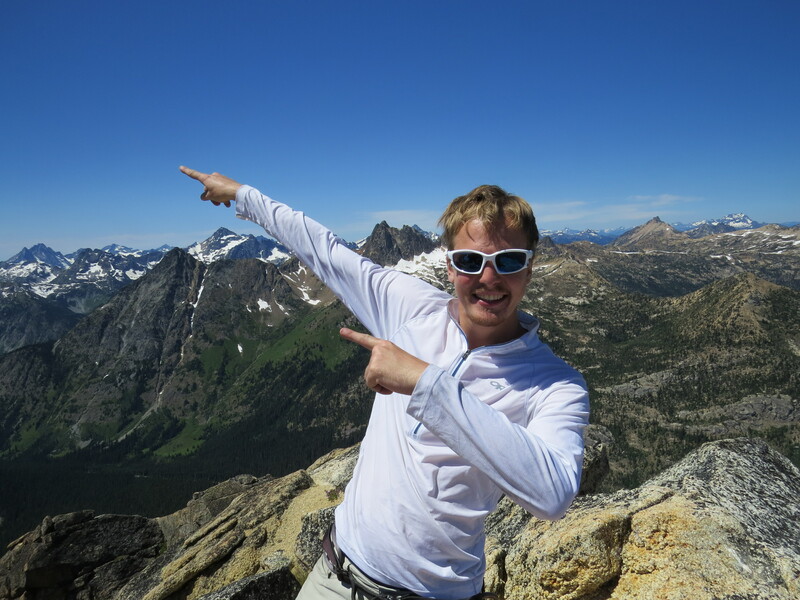 The route was pristine, excellent quality rock, exposed, and remote, like summiting a small granite tower in Patagonia. This is where I fell in love with alpine rock climbing. It’s moderate routes match my skill level, the views cannot be even described to do justice, and the reward and feeling of accomplishment is unmatched anywhere else. Unfortunately, that’s just the way up. Our plan coming off from Liberty Bell was to drive over to the Boston Glacier, set up our high camp, and summit Forbidden Peak the following day. The descent from Washington Pass involves descending a steep, chossy (rotten rock for non climbers) couloir between Liberty and Lexington Towers. In the mid afternoon sun, we struggled to stay on the rocks, keep our footing, and were sliding all over the place, adding to the already prevalent feeling of general discomfort that had settled down in our minds. By the time that we got to the car, all we wanted was a beer and a burger, much less the will to climb a second peak. The West Ridge is not only another of the 50 Classic Climbs, and my second overall, but it’s a seminal peak in Washington Mountaineering. 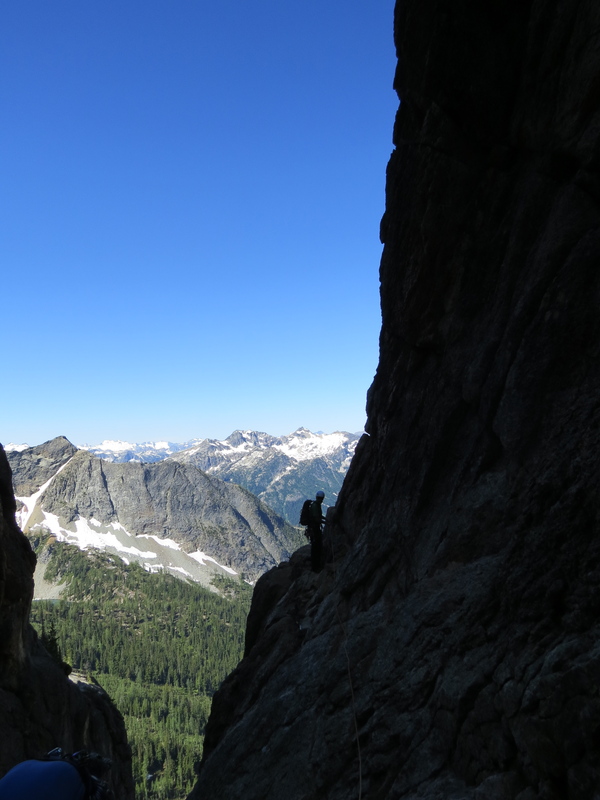 For alpine ascents, Forbidden is considered the intermediate step up, a 5.4 – 5.7 rock climb with significant route finding, and a challenging rappel. 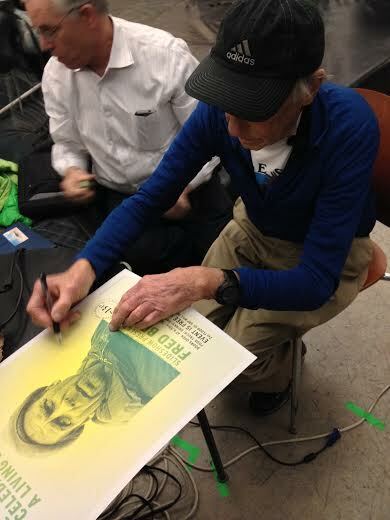 Fred Beckey is one of the last living legends of American climbing. Now 91 years old, I had the honor and privilege of meeting him and shaking his hand when he presented his legacy at the Seattle Bouldering Project last December. Fred has more first ascents to his name than any other living climber, and the Liberty Bell Beckey Route which we climbed last summer is his namesake. Forbidden Peak was first climbed on June 1, 1940 in the golden age of American alpinism. It was a time where there were no direct trails to base camp, when there was no aid, or cams, or nuts, but only a few hammer in pitons to protect the frail rope and the climbers. To follow in his footsteps twice in consecutive years is an honor. Our plan is to drive to the trailhead, hike into our high camp, bivvy (sleep tentless) during the night in the open, and start our attempt on the summit at 3 AM on Sunday morning. There will be a glacial approach through the Boston Glacier with crampons and ice axes, and from there we will get on the ridge, following the 5.4 – 5.7 route to the summit. After topping out, we will down-climb the West Ridge before returning to camp and back to the car. 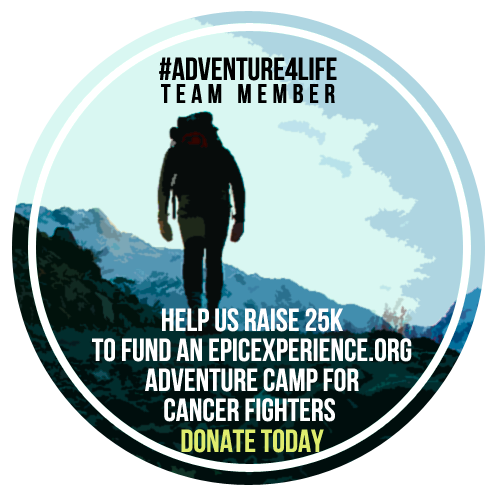 This remote climb takes every aspect of adventurous climbing and compresses it into a two-day approach, climb, and descent in the midst of breathtaking scenery. If anything, I can’t wait to have my camera out as the sun illuminates the peaks on Saturday night. As with our Mt. Hood climb, I’m being guided by friends from the awesome Kaf Adventures service who took it upon themselves to provide me with top-notch alpine and mountaineering training. For this I am eternally grateful for the service that they’ve provided me thus far. As I said in my last post, this is the stuff that dreams are made of. Returning to a forgotten objective, a spectacular peak, never giving up the idea or the vision, and just going for it. Hate to burst your bubble, but the Beckey Route on Liberty Bell is not one of the 50 Classics of North America. However, the Liberty Crack (5.9 A3) is on the list.